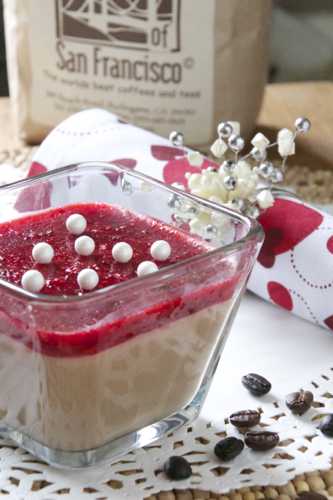 For Valentine’s Day, do something special for your loved one and make them a delicious Chocolate Mousse topped with a sweet, yet tart Raspberry Gelée featuring the amazing Alvin’s of San Francisco brewed coffee, sounds difficult but it is so easy! I love making chocolate mousse because it’s the easiest dessert you can make! All you have to do is melt some chocolate, whip some egg yolks and cream, combine all three then chill in the fridge! No cooking necessary or baking. Not to mention, it just takes 30 minutes or less if you’re a pro. There are various ways of making chocolate mousse; with dark chocolate, semi sweet or my favorite, milk chocolate! Also, you can make it with whipped cream or fluffed egg whites. I chose to use whipped cream because it’s recipe friendly for those who are not experts in the kitchen. You end up with a creamy smooth texture that just has you licking every last bit of it off your spoon! To make this dessert extra special, I added Alvin’s of San Francisco brewed coffee because what goes better with chocolate than coffee?! 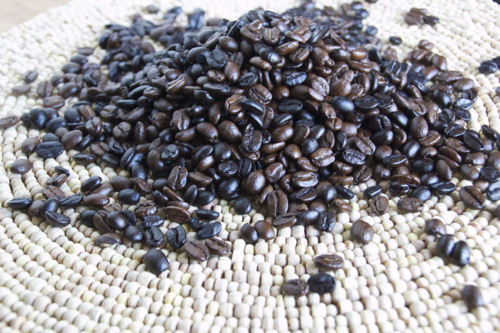 I love Alvin’s coffee! Freshly brewed every morning at my house, it totally beats any other brand! 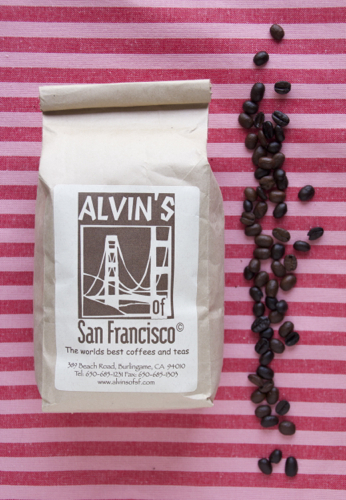 Make sure you get your own freshly ground Alvin’s of San Francisco coffee to use in this recipe! 1. Heat a small saucepan one-third full with hot water over medium heat for a low simmer. 2. 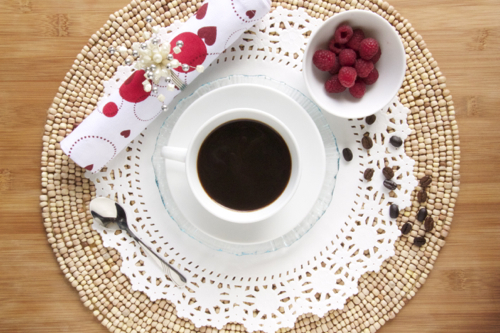 Place the chocolate, coffee, vanilla extract and butter in a stainless steel mixing bowl and set the bowl on top of the saucepan, stirring slowly until smooth and melted. Remove from heat. 3. In a separate bowl, whip the cream until it forms soft peaks, about 2-3 minutes. 4. In a large bowl, using a hand mixer or whisk, beat the egg yolks and sugar for about 3 minutes until it is light in color and fluffy. 5. Slowly mix the chocolate mixture into the fluffed egg yolks with a spatula. 6. Fold in the whipped cream until combined. 7. Evenly divide the mixture into your desired serving dishes or glass. 8. Chill for 30 minutes then top with the Raspberry Gelée. 9. Chill for 1 hour to overnight or until the gelée stiffens. 1. Place 1 tbsp of water and 1 1/2 tsp of gelatine in a bowl and set aside to allow it to bloom. 2. In a mixing bowl, add the raspberries, lemon juice and sugar. Using a whisk, mash the raspberries until the mixture loosens up. 3. Add the boiling water to the bloomed gelatine and mix to dissolve the gelatine. 4. Add the dissolved gelatine to the mashed raspberries and mix to combine. 5. 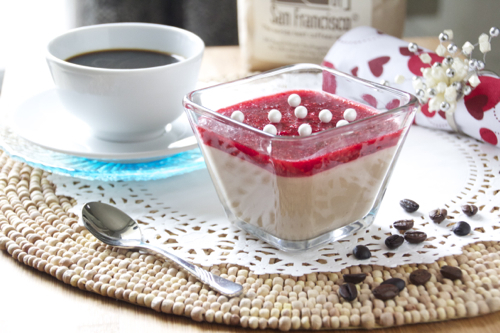 Place mixture on top of your dessert.